- more ways to get free cash! This game is horrible and pointless. I usually like games that are a bit critical, but this is horrible. Sorry, but I refuse to believe that any respectable society member would call a design “hobo!” And what made me delete it was when they asked me for an “energy drink” which COSTED REAL MONEY! And my mom never lets me pay, and I wouldn’t have anyway BC it was only like FIVE DOLLARS GAME CURRENCY! If I had my way, I would’ve just sighed and paid for it the FIRST TIME. But noooo, even if I did, they would probs just ask me again. And the clients are so rude! I personally like in-game criticism unlike some PPL, but seriously? I they’re like, “OMG, I hate it blah blah blah blahlalalalalala.” I’m sure even judgemental society is MATURE enough not to say stuff like that! And you only get like thirty dollars at a time AT THE MOST! Frenzoo is DA WORST at creating games! And about the energy drink, the first time I just did some other activity and it worked, but then it got to the point where I couldn’t progress at all. So disappointed and I deleted it. Bye and see you never. 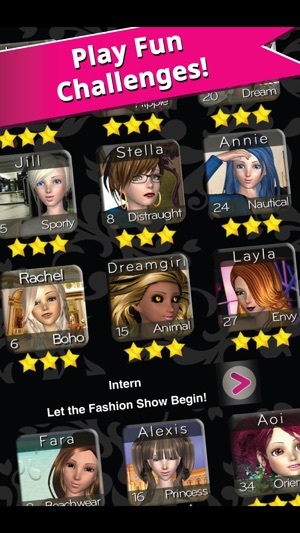 PS: I can’t believe most people rated a five star! This game deserves a three point five star rating AT THE MOST! *Update, they updated the game but I have been stuck on the formal level for almost 2 weeks. I have tried a pea coat, "fur" jacket, pearls, and spent numerous coins and dollars on black dresses and still I fail horribly! Also the amount of ADs it has now is insane!! 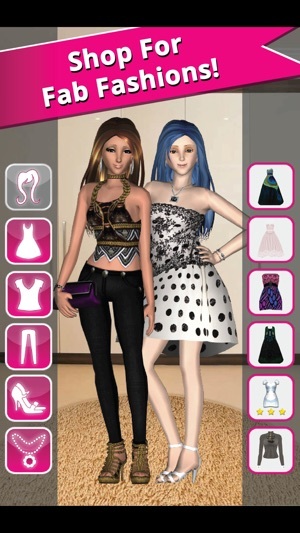 Don't even bother trying to play, you open the app, ad, you leave the closet, ad, you leave the boutique, you guessed it ad! It's insane!! It's nice being able to watch the ads Inorder to get more dollars if you have the time but spending 1.5-2 minutes on ads for less than a minute of game time is BS!! This was the last chance for them to fix the issues and they only made it worse!! Good bye! I was loving this game till level 19! You better save your "dollars" to buy the bandana or you'll never pass it. It has to be a glitch in the system because when I have the items listed (i.e. Mohawk) it comes back and says skinhead/buzz cut but if I switch to the skinhead buzz cut it says I need Mohawk. I flew thru the other 19 levels so this is just silly. Don't waste your time!! It's a great game but there some things I don't understand. 1. I'm stuck on level 18(Halloween level) and I know it's not just for me I just read someone else is having this problem and it's getting on my nerves. 2. Isn't this supposed to be a kids game? Some of the things they say when you don't do well on a level are NOT kid friendly. Like the galactic level if you get one star they mention something about a strip mall. That is not appropriate for a kids game. 3. It also gets on my nerves when a) they say you need something like a bikini and even when you're obviously wearing a bikini they say you're not or b) they tell you you need one thing to wear and when you spend money on that item they'll say you need to wear something else instead. 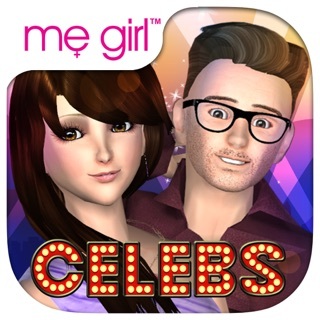 Me Girl Celebs - Dress your way to movie stardom!